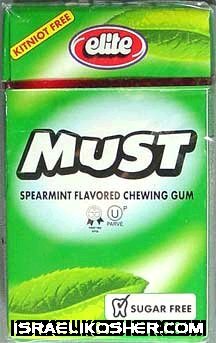 elite must spearmint flavored chewing gum, sugar free, kosher for passover. net weight 1.06 oz. made in israel.